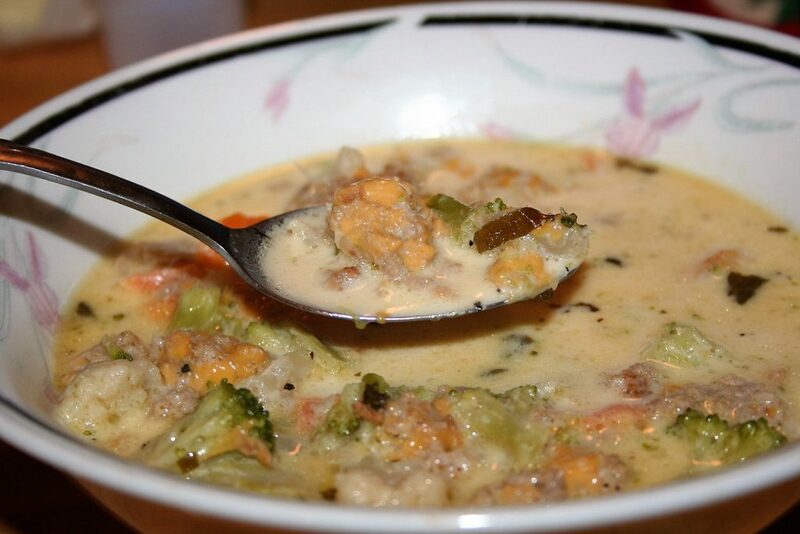 This creamy ground meat soup is easily customized to your diet, be it low fat or high fat, with just a few tweaks. 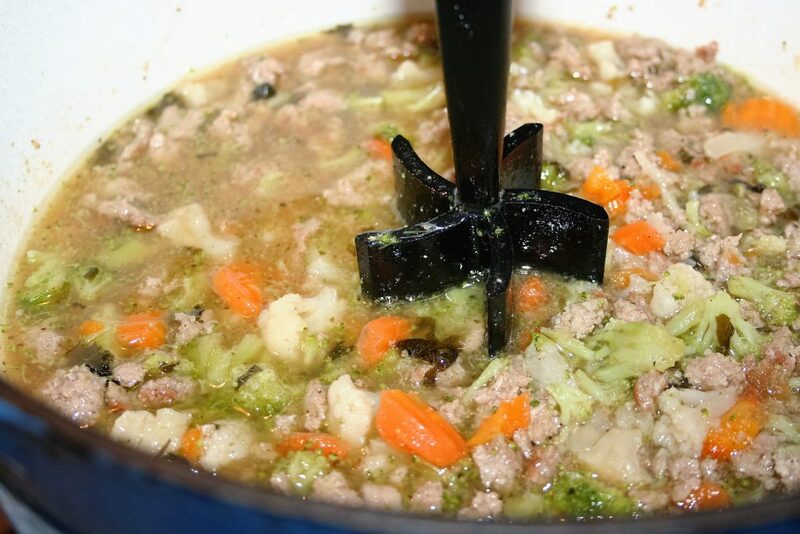 It is a low carb soup, full of flavor. 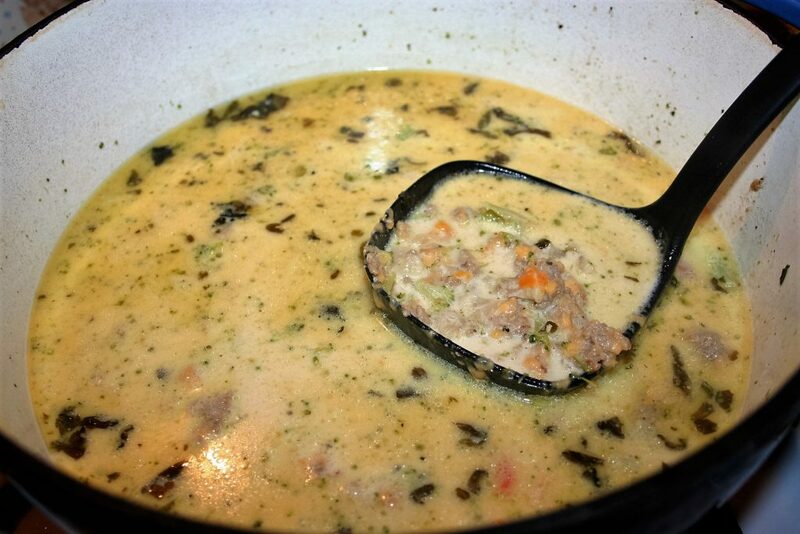 I found this soup over three years ago, somewhere online. I must’ve been on a low carb diet at the time because this one was both low fat and low carb. Now, this doesn’t exactly fit my current diet but it is close enough to adjust with just a few easy changes. The low carb works but the low fat does not, as keto is a high fat diet because you are in a state that your body is burning fat. 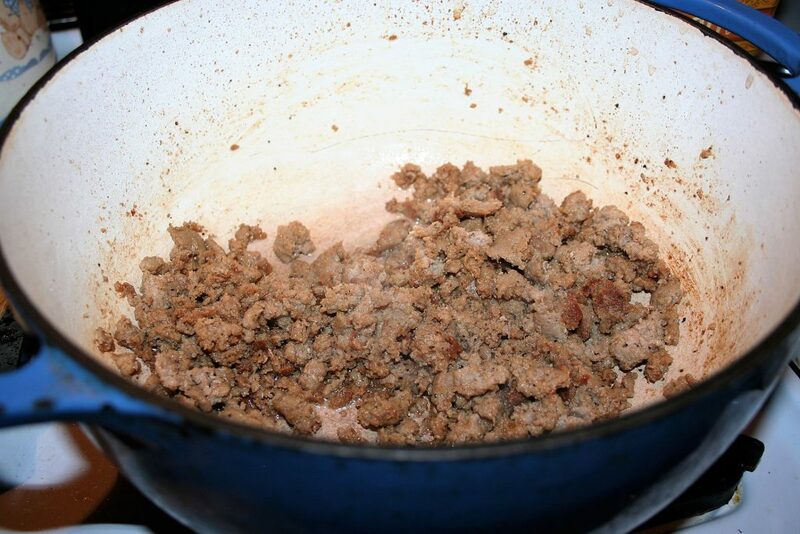 The recipe calls for ground turkey and this is what I used. However ground turkey is a low fat meat. Consequently, I added a couple of tablespoons of coconut oil as I was browning it. As it browns, add salt, pepper, and onion powder. If you are doing a low fat diet, drain off any fat. 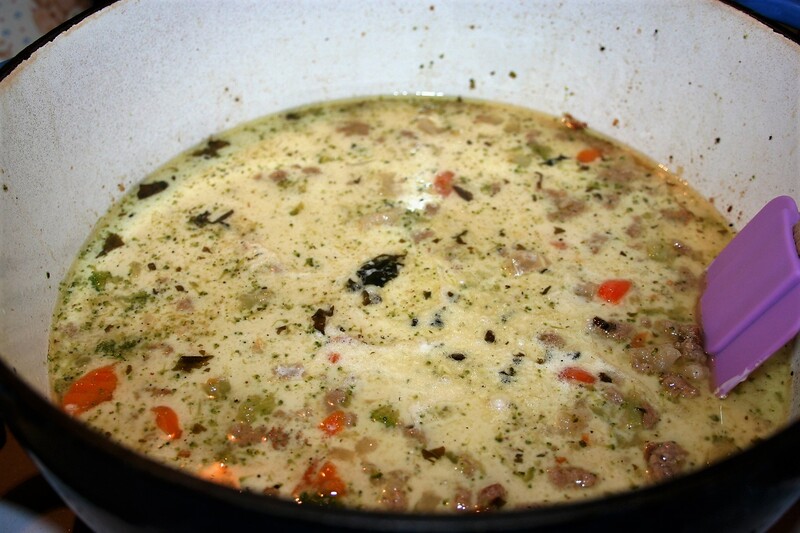 Add chicken broth, basil, and veggies. 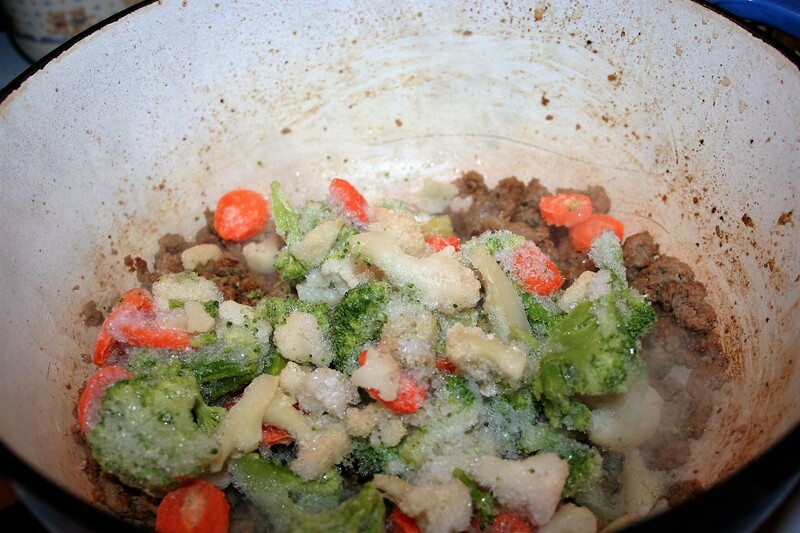 When I made this the other day, I was out of fresh broccoli so I used a bag of frozen broccoli, cauliflower, carrot medley. We also do not like big chunks of vegetables, so I break them up a bit. Now add heavy cream, half and half, or fat-free half and half depending on the level of fat you need in your diet. Also add in the shredded cheese at this time. 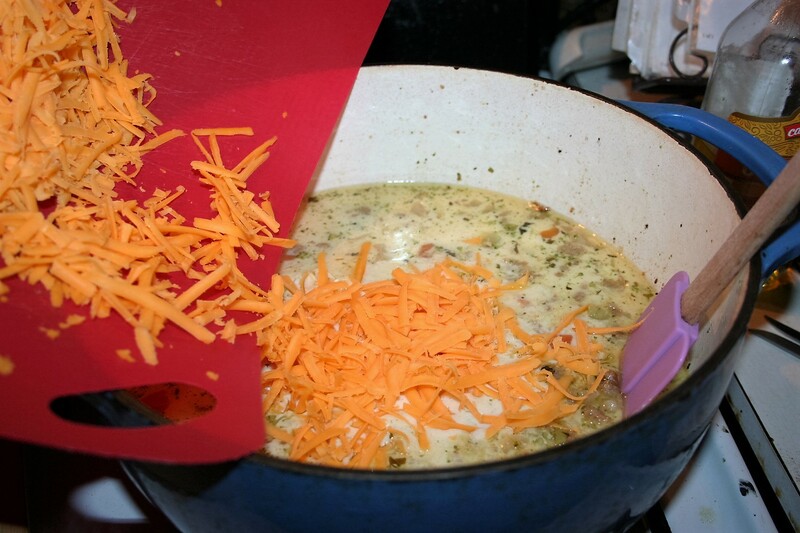 Remove the pot from the heat and stir until the cheese is melted. DO NOT return it to heat or the cheese will probably separate and not be as creamy; it will still be edible but clumpy and maybe a little rubbery. Serve as soon as the cheese is melted. 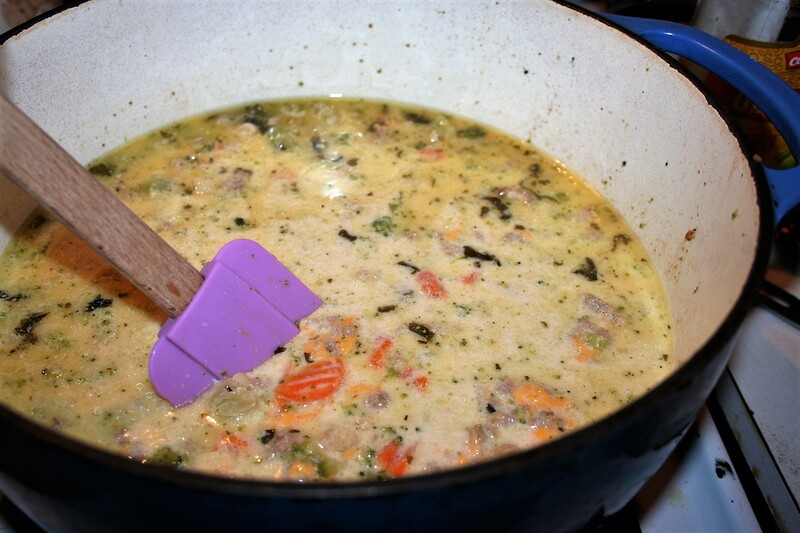 Add chicken broth, basil, and veggies. 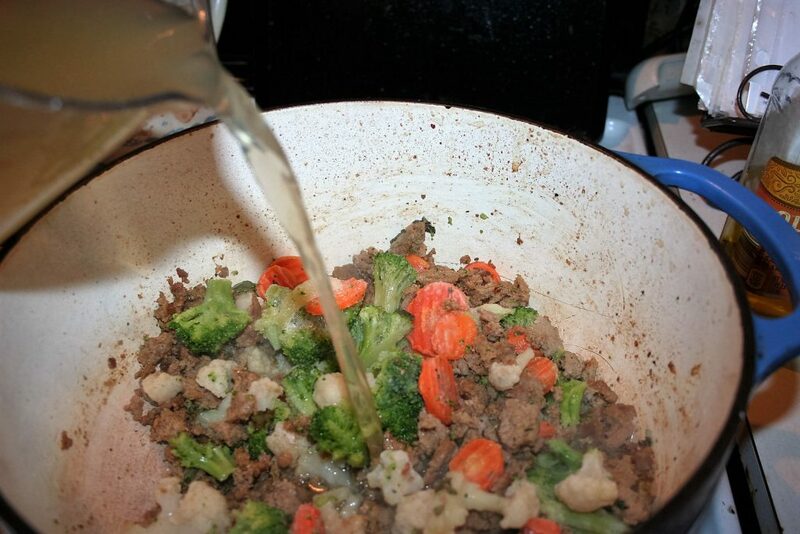 Reduce heat to a simmer and cook covered for about 20 minutes, until vegetables are desired tenderness. Add cream and cheese. Remove from heat immediately. I hope you understand the different options on how to make this according to your dietary needs and it wasn’t confusing. Enjoy!